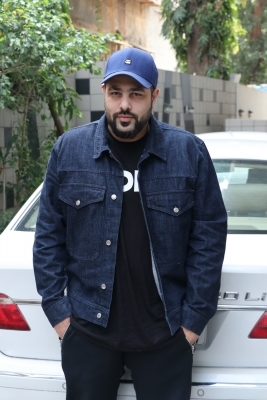 Mumbai Sep 15 (IANS) Rapper Badshah says he always wanted to enter the music industry and did engineering only for his parents. "I always wanted to do something in music and went for engineering only for my parents. I had performed for the first time on stage for my college festival " Badshah said in a statement. "I still remember after a lot of begging we got an opportunity to open for Euphoria and were asked to perform for 15 minutes. When we started 15 minutes turned into 30 minutes then those 30 turned into 45; audience wouldn t let us go. It was a crazy night " he added. The rapper known for chartbusters like "Saturday Saturday" "Chull" "DJ waley babu" and "Abhi toh party shuru hui hai" opened up about how his career in music started when he appeared on "Midnight Misadventures with Mallika Dua" hosted by comedienne Mallika Dua. The show will go on air with Badshah s episode on September 17 on TLC. Sharing her views about the rapper Mallika said: "Badshah is one of the most intelligent and entrepreneurial individuals in the industry and I am delighted that he is part of the inaugural episode. "It was fun shooting with him; we gelled almost from the word go -- a sharp contrast from the shy start we made when we first met for a shoot of a different show earlier this year. I loved the point when we danced together on his new song."